Whether you are just a reader/reviewer, own a bookstore, manage a library, etc, you can participate and encourage others to read on 1/24/15! This is a great fundraiser through the National Book Foundation Inc., GoodReads, Mashable, and Penguin Random House that focuses on the literacy rate in America . You can either donate to the campaign or start your own fundraising page as a group. 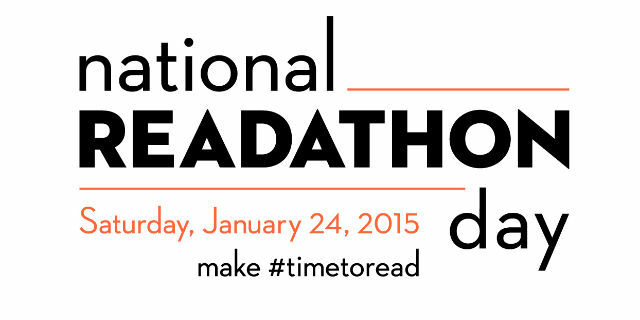 The National Readathon Day event will begin at 12 noon and last until 4 p.m. on January 24th, 2014.